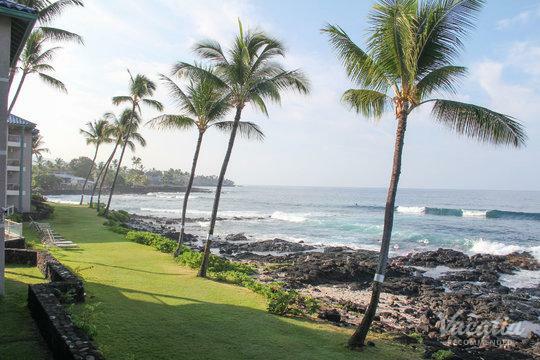 You will feel awed by Hawaii Island, also known as Big Island. 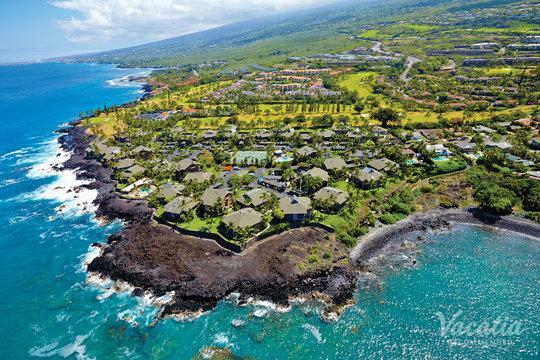 From the flowing, fiery magma of the Hawaii Volcanoes National Park to Maunakea's snow-capped peaks, Hawaii Island is home to a powerful and beautiful natural environment. There are all kinds of accommodation to be found on this famous island, but it can be tricky to narrow your search to find exactly what you're looking for. 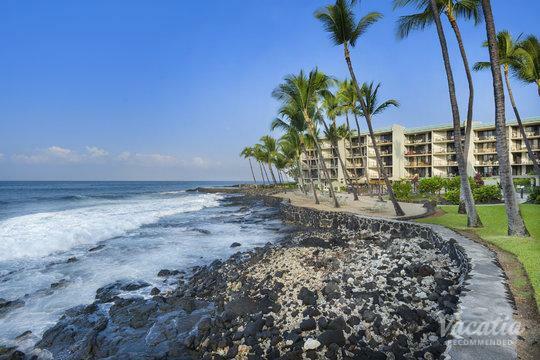 When you work with Vacatia, however, you'll be able to find oceanfront resorts in Big Island quickly and easily through our comprehensively organized database. 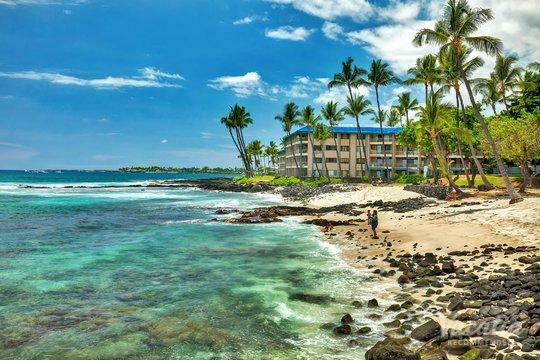 Our friendly Guest Care team is always ready to answer any questions you might have, and all of our oceanfront hotels in Big Island are highly recommended. When you book with Vacatia, you'll find out why our customers keep returning to work with us. You'll know exactly what you're getting before you arrive. One of the best parts about vacation accommodation is all the perks of the hotel or resort. You can live the chore-free life and enjoy your getaway to its fullest. Some vacationers, however, also want the comforts and relaxation of home. This is why Vacatia offers resort residences to customers who book with us online. This one-of-a-kind lodging includes a fully equipped kitchen, a spacious living room, and an in-unit washer/dryer. This means that you'll be able to cook some of your own meals to save on food costs, hang out with your friends and family at your leisure, and pack a bit lighter knowing that you'll be able to do a quick load of laundry. 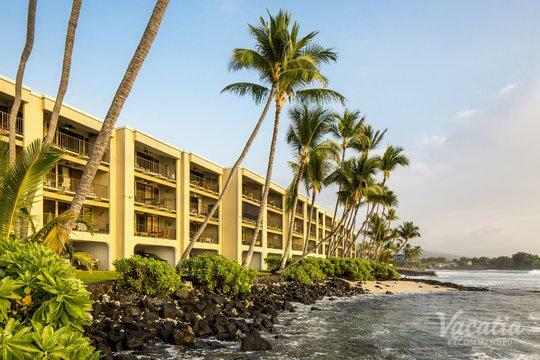 You'll also get all the benefits of resort life, including housekeeping services, 24-hour check-in, delicious on-site dining, relaxing spas, and more. Big Island is almost double the size of the other Hawaiian isles combined. Its size is awe-inspiring, and you'll find almost every climatic zone in the world within its shores. The incredible scope and size of this island nurture a rich diversity of activities and environments. 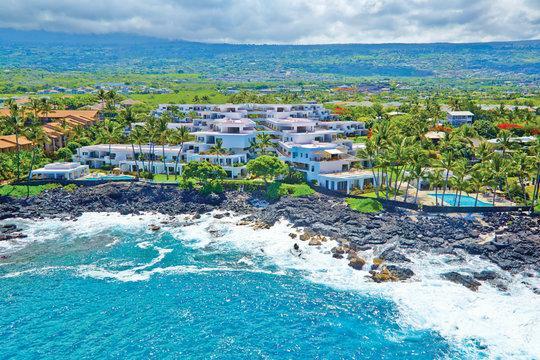 The tapestry of Big Island has it all: luxurious resorts and stunning golf courses, small villages and sacred historical sites. You can see the first missionary church of Hawaii in the Historic Kailua Village, or you can visit King Kamehameha I's birthplace. With so many things to see and do, you'll have to focus on just one piece of the island at a time. There will be plenty of adventures and discoveries awaiting you upon your return.